Photoshop and other software has two ways of representing images. They can be either bitmap or vector based. In fact Photoshop can have both types in one file so itu2019s extremely useful to know the difference between the two. Even though photographs are continuous tone images, they are in fact represented by row after row of tiny squares or pixels. 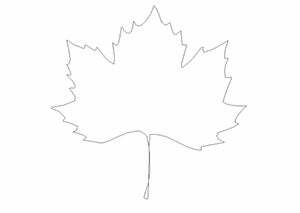 Whereas paths are vector based and represented by mathematically prescribed lines. Pro’s Tip: Paths contribute very little to file size. So instead of saving a selection, which will actually add another channel and increase the file size considerably, convert it to a path and save that. 01 Magnify a bitmap image until you can see the grid of pixels that represent the picture. 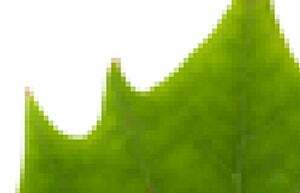 The number of pixels in it is determined by the resolution, making it resolution dependent. This means you need to be aware of its limitations when you’re scaling it or the image quality will be compromised. 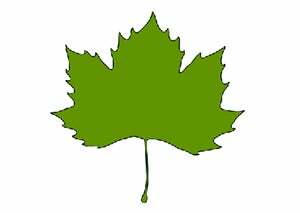 02 The same leaf shape can be represented by a path. The visual line is still represented on screen by pixels but in reality it’s mathematic equations that will determine the outline. Vector graphics are created by a series of paths that are then filled. The shape tools can be used to create vector graphics. 03 Importantly, vector graphics are resolution independent. This means vector graphics can be scaled up or down and printed at any size and they will still maintain sharp edges and produce high quality prints.